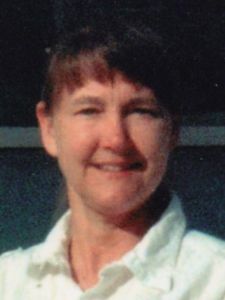 June E. Hawes, age 67, of Eden, NC passed away on early Saturday morning, February 2, 2019 from losing a courageous battle with cancer. At June's request, there will not be any formal services held. The family will receive friends from 3-5pm on Saturday, February 2, 2019 at 594 South Pierce Street in Eden. June is survived by two sisters, Bonnie Kober of Eden and Beth Lane of Manassas, VA; three nieces and two nephews. She will be especially missed by her caregiver, Kate Wandscher and her cat, Lulu. It is with great sorrow that I find that June is no longer with us. For a time we were very close but even though we were not together for some years she never left my heart. We want to extend our deepest sympathy for your loss of June which is the most devastating experience your family will face. At times, the pain of the loss will feel unbearable. Please know that there are friends who care about you and your family during this difficult time. Most importantly Psalm 34:18 tells us that "God is near to those that are broken at heart. We pray that Jehovah the God of all comfort is with your family during this difficult time of grief.